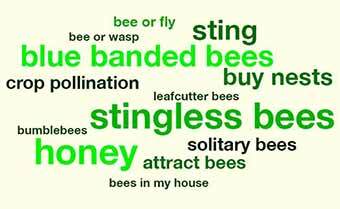 We apologise that our Aussie Bee Website Survey is presently closed, while we are working on a major upgrade of Aussie Bee website. 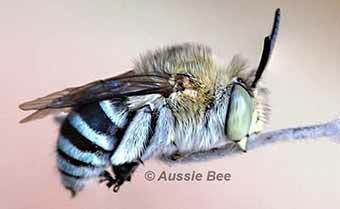 A Blue Banded Bee -- one of Australia's favourite native bee species! Click here to return to Aussie Bee homepage.